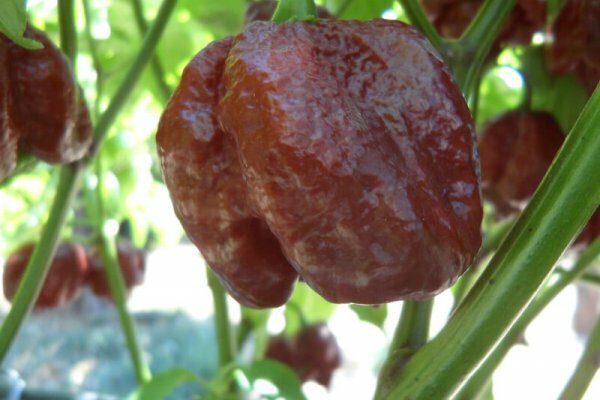 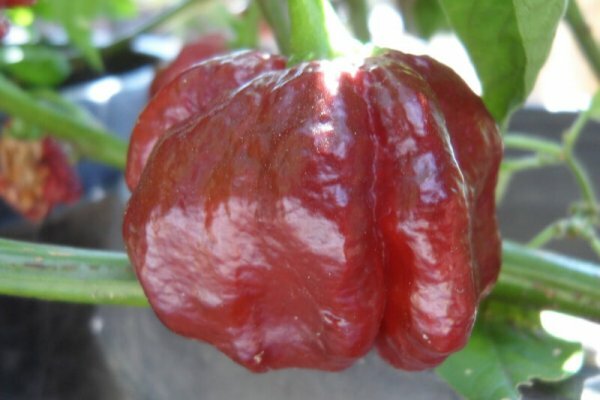 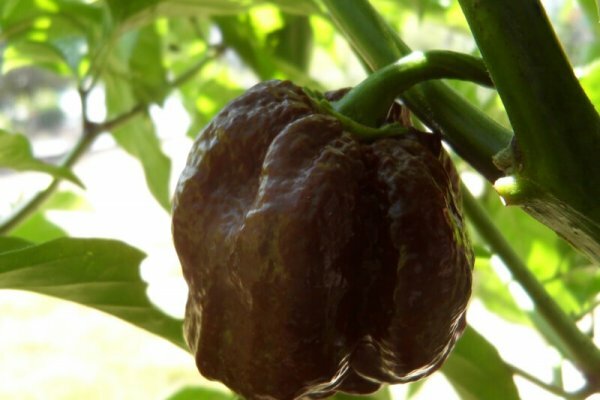 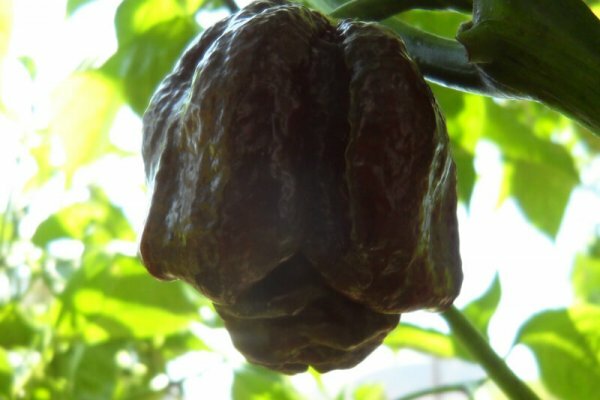 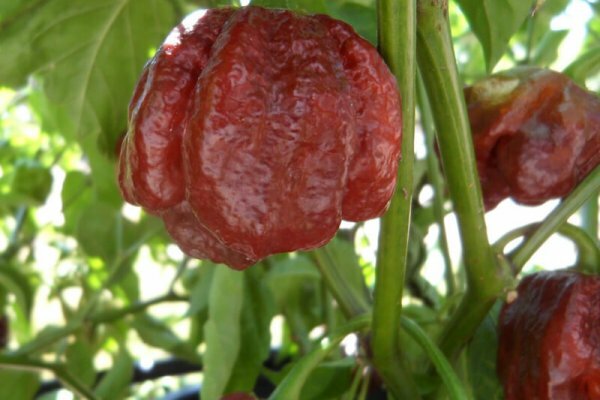 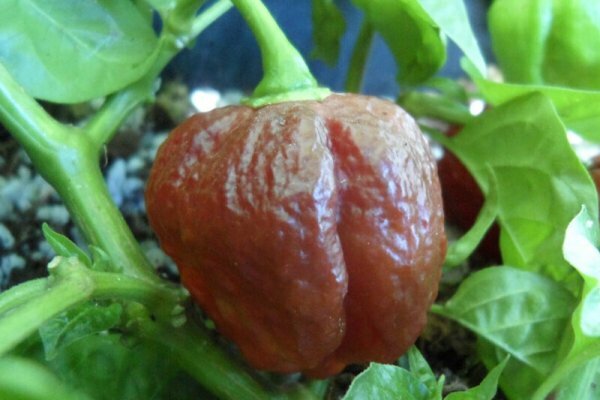 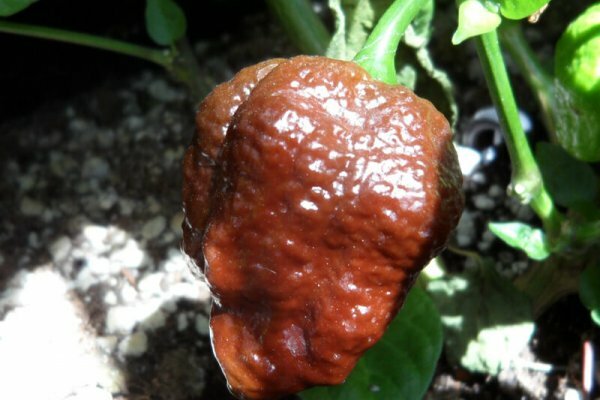 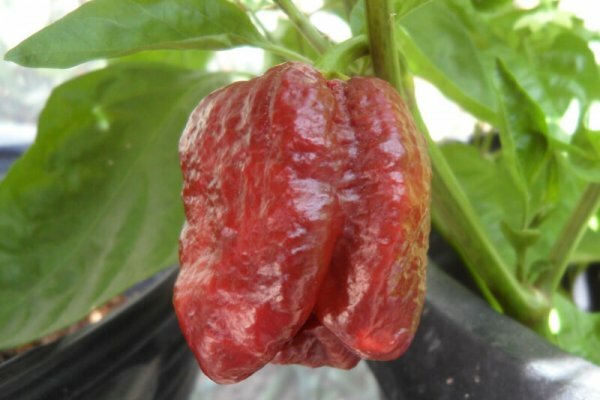 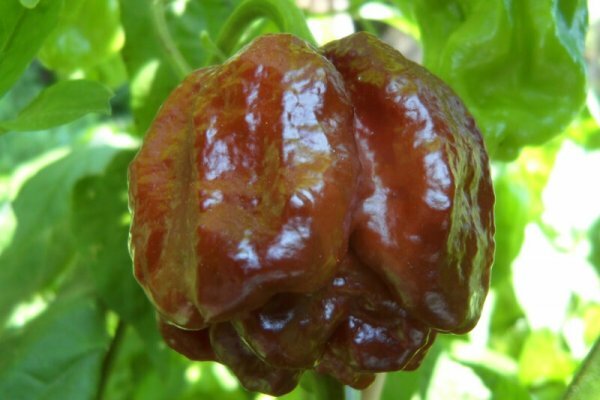 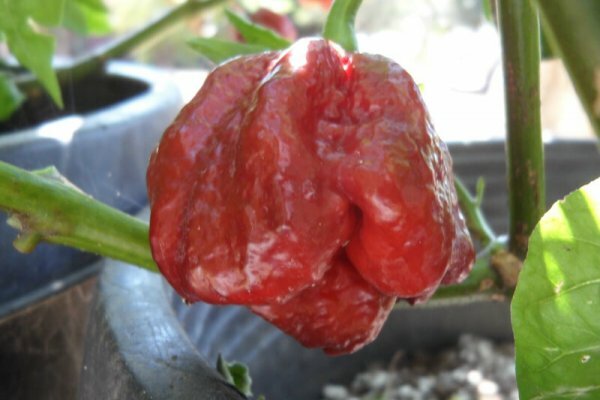 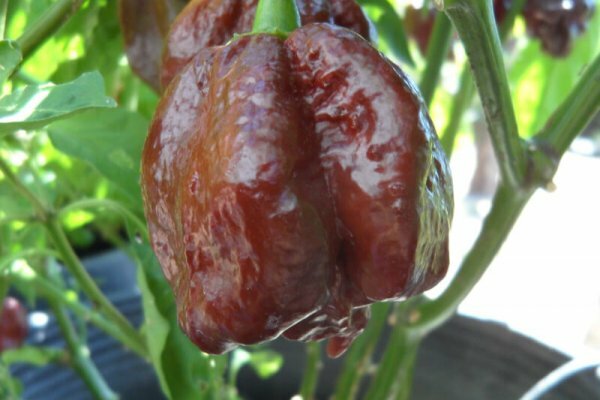 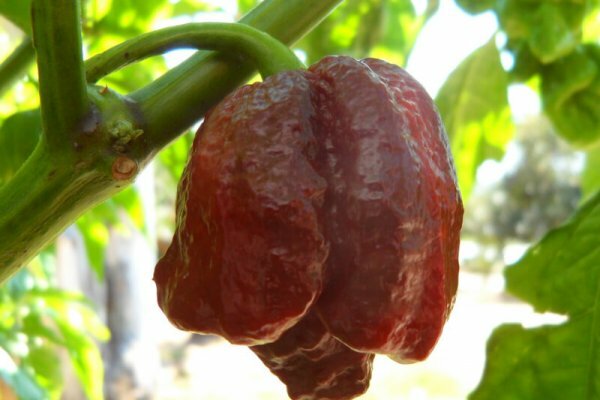 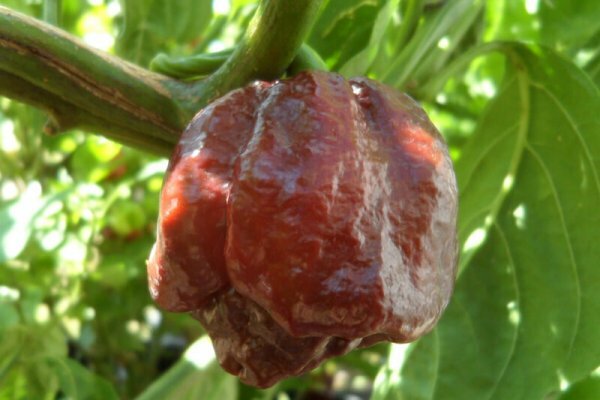 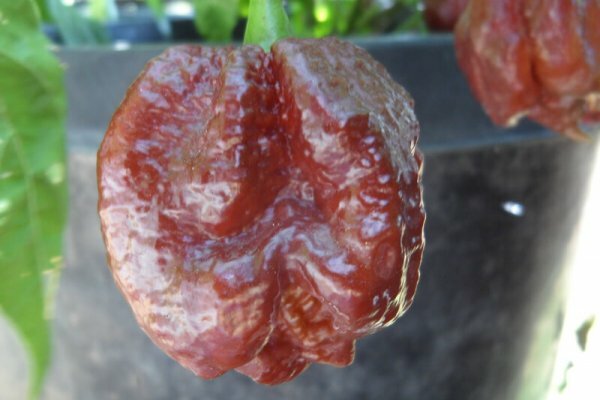 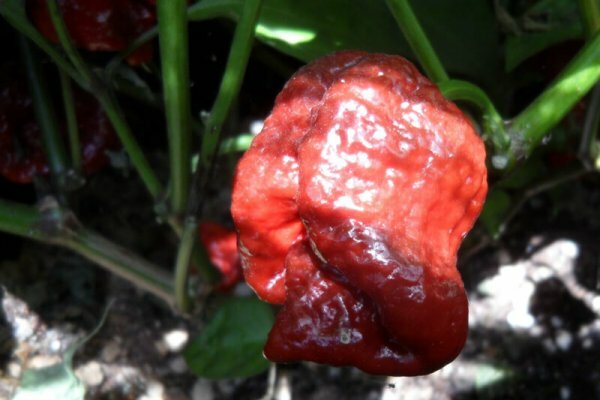 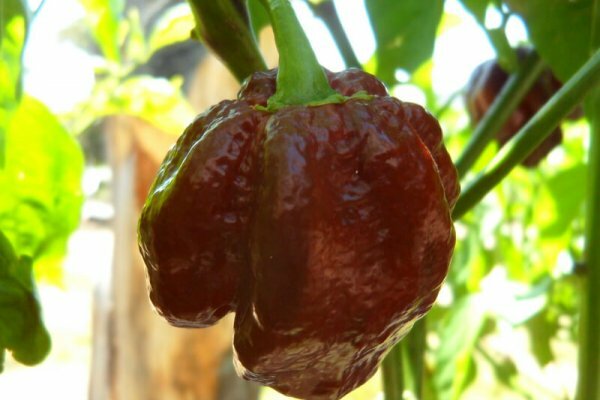 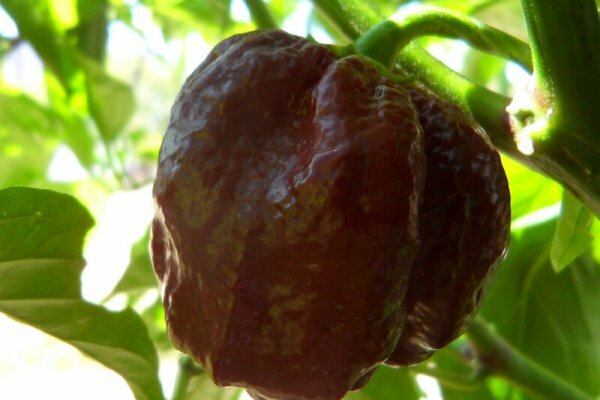 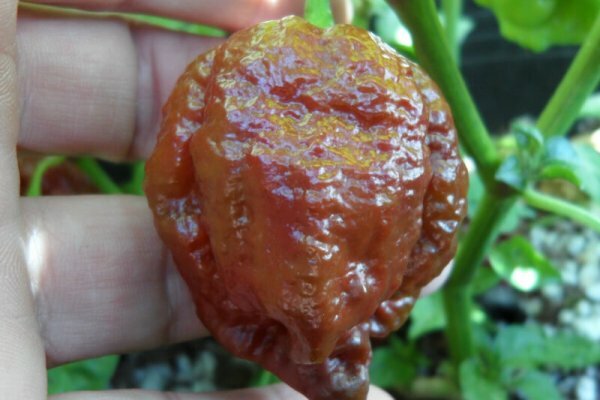 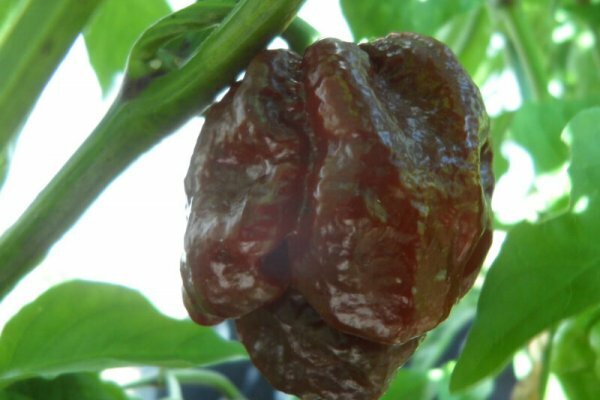 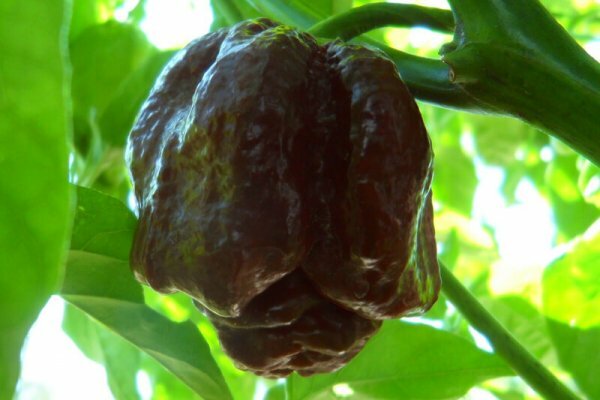 This is the Chocolate version of the Trinidad Moruga Scorpion that scored a world record heat of over 2,000,000 Scoville units. 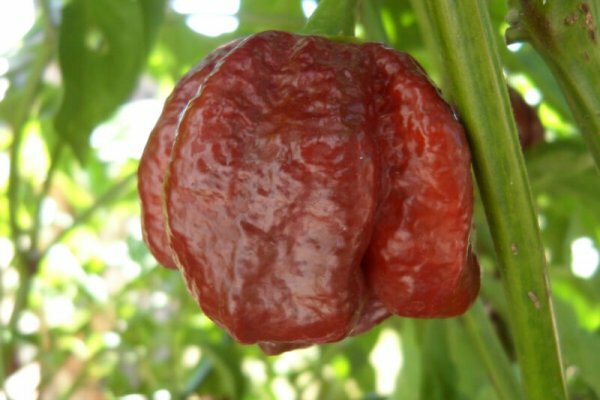 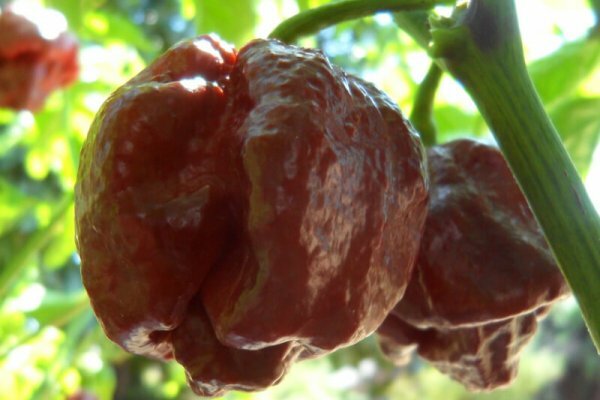 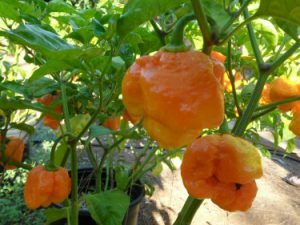 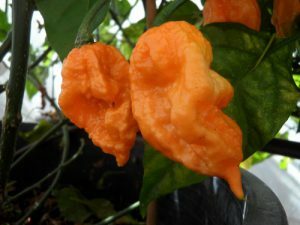 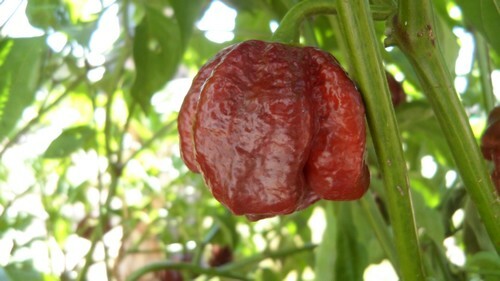 It is also called the Brown Moruga Scorpion. 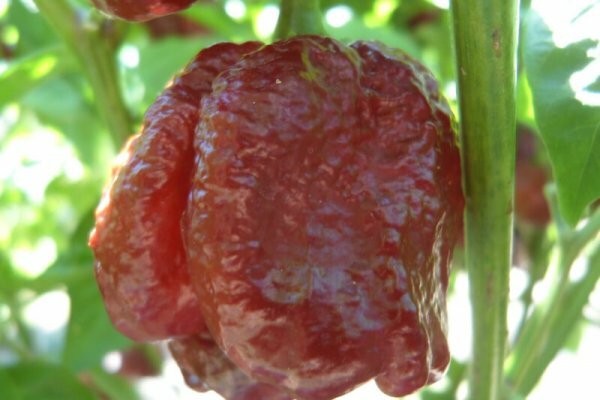 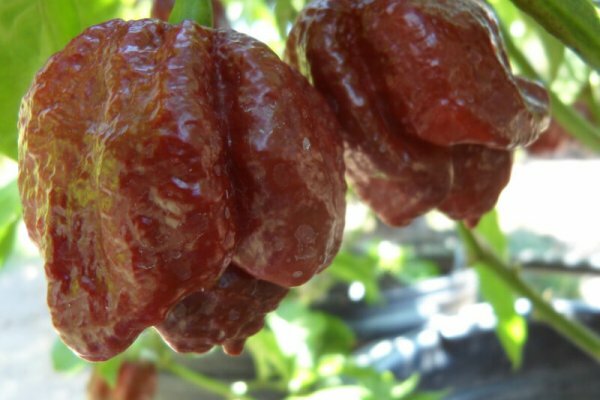 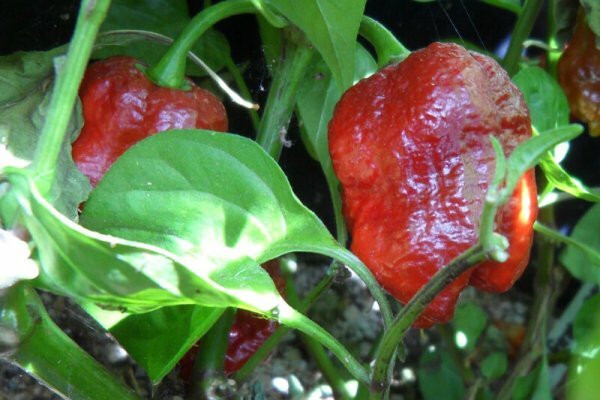 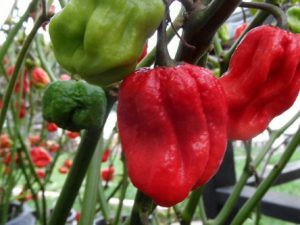 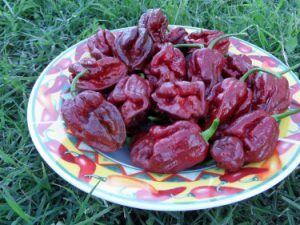 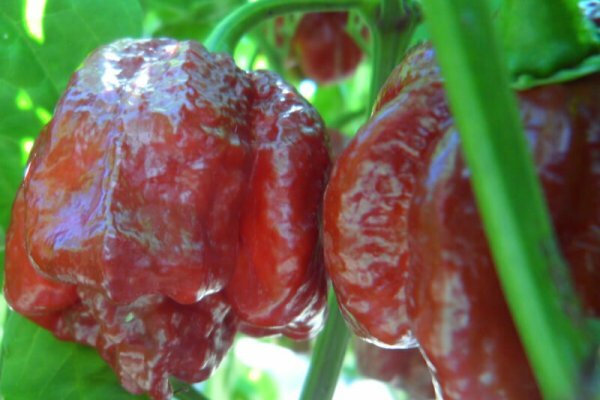 The heat level is comparable to the red Moruga Scorpion but it has a much sweeter flavor. 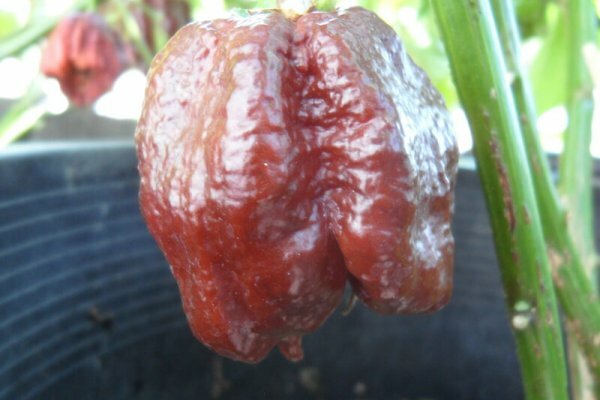 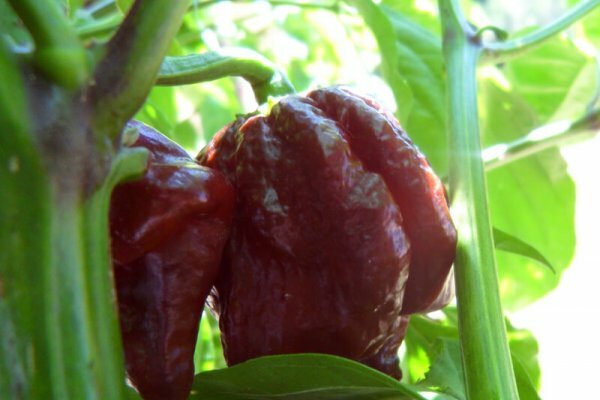 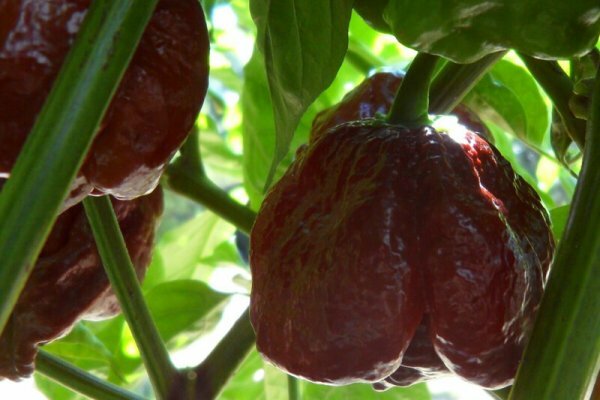 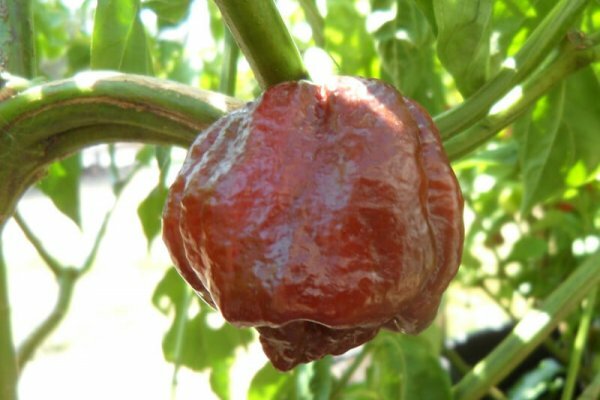 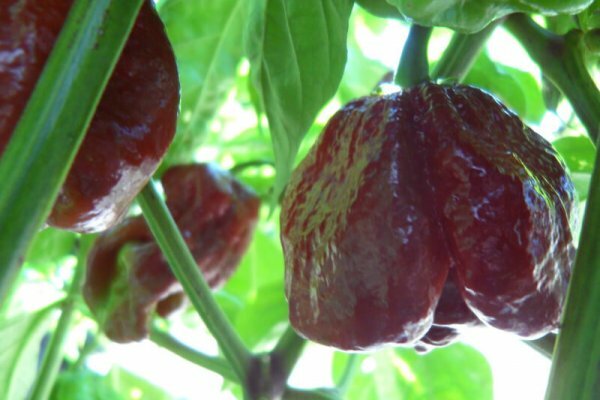 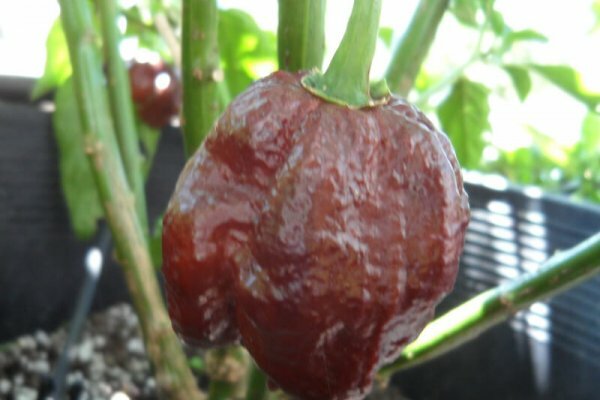 The Chocolate Moruga chile plants can get over 3 feet tall and produce peppers larger than a golf ball.